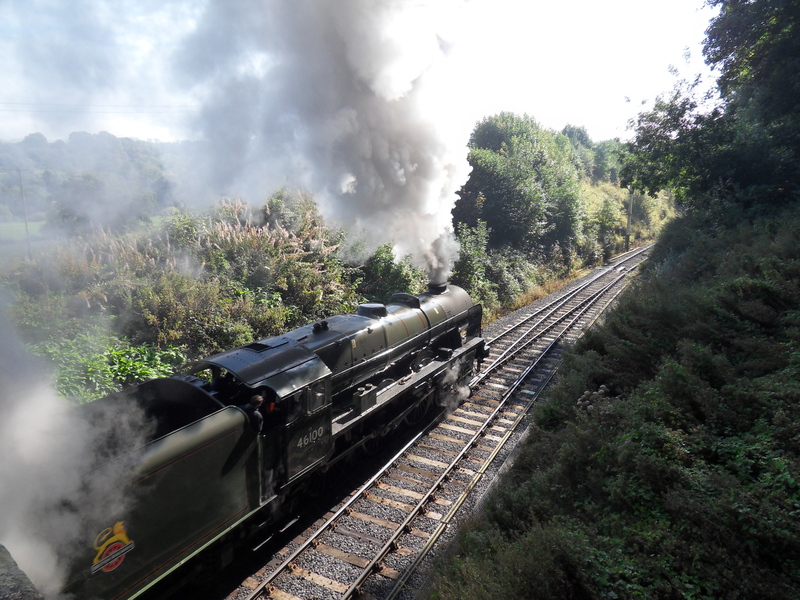 Severn Valley Autumn Steam Gala – Royal Scot returns! 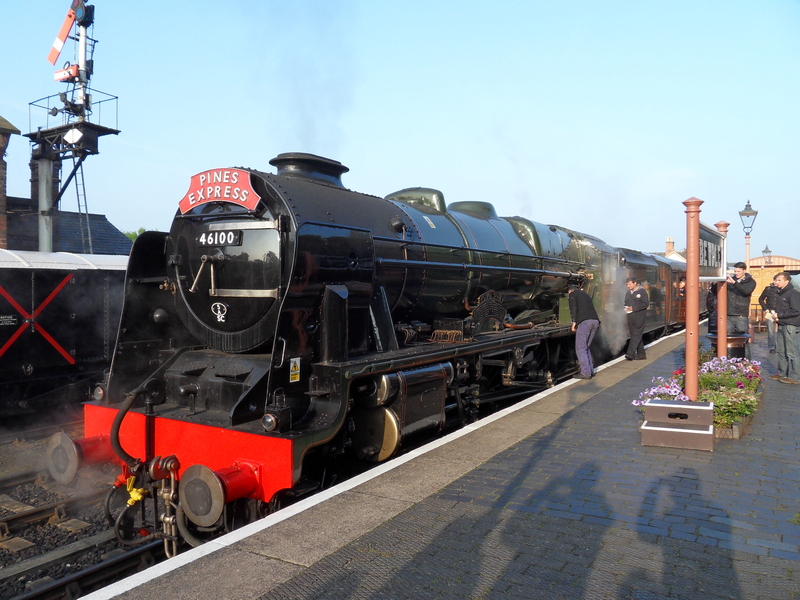 Royal Scot basking in the early morning sun at Bewdley with the Pines Express; the crew taking a moment to give her a quick polish! 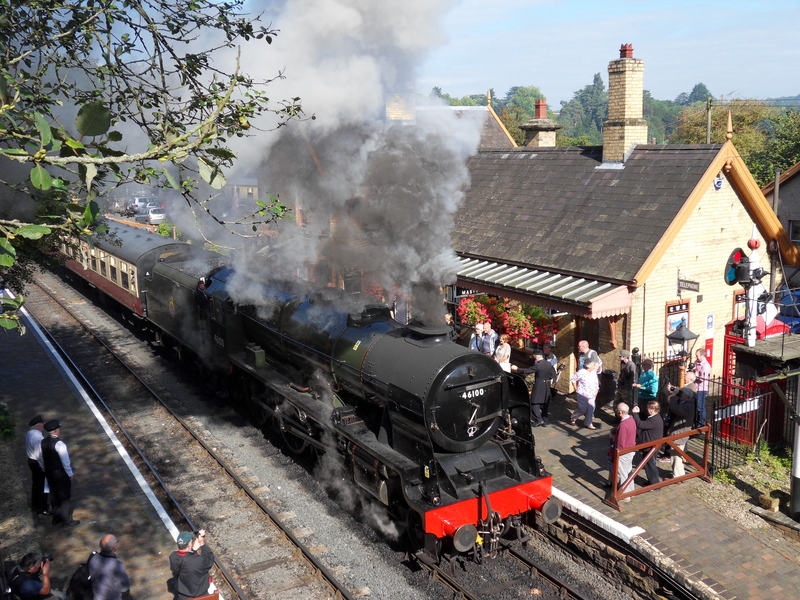 Well it’s been over a week now since I was lucky enough to attend the Severn Valley Railway’s Golden Jubilee gala, and despite misgivings over a slightly disappointing and unambitious timetable I still had an absolutely fantastic weekend, with the added bonus of very kind weather. I managed to rack up an enormous amount of pictures, but today we’ll start of by looking at what was the star of the show, recently overhauled 46100 Royal Scot. 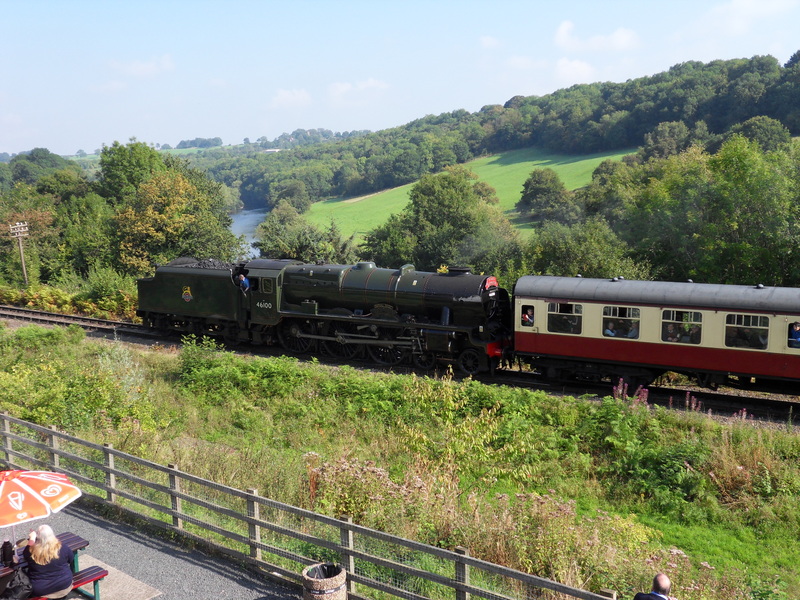 Royal Scot passes the engine house at Highley seen from the viewing platform with the beautiful river Severn valley as a backdrop. 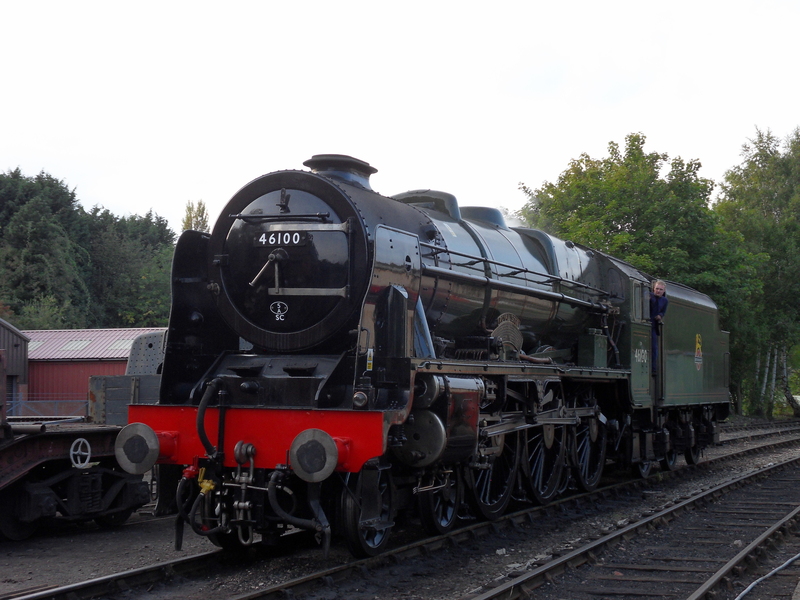 After finishing her duties for the day, 46100 poses in the headshunt at Bridgnorth before going onshed for the night. The nameplate and exhibition plate. Just leaving Arley, possibly my favourite stations on the SVR; a great place to watch trains go past, a pretty village and river setting and a beautiful station in itself. A line of photographers the length of the bridge all turned around in unison and dashed across the road to catch 46100 setting off for Bewdley! As you politely put it, a rather unambitious timetable. Complacency creeping in SVR? The punters will turn up anyway, we can run trains once per hour? Royal Scot beautifully turned out but, along with Taw Valley, some pretty unambitious driving. Were it not for Britannia’s spirited performances it was all a bit deadly dull. Hi Terry. I’m led to believe this year’s timetable has been quietly put in the waste paper bin by the management and that they have taken on board criticism, so here’s hoping for something more exciting next year. 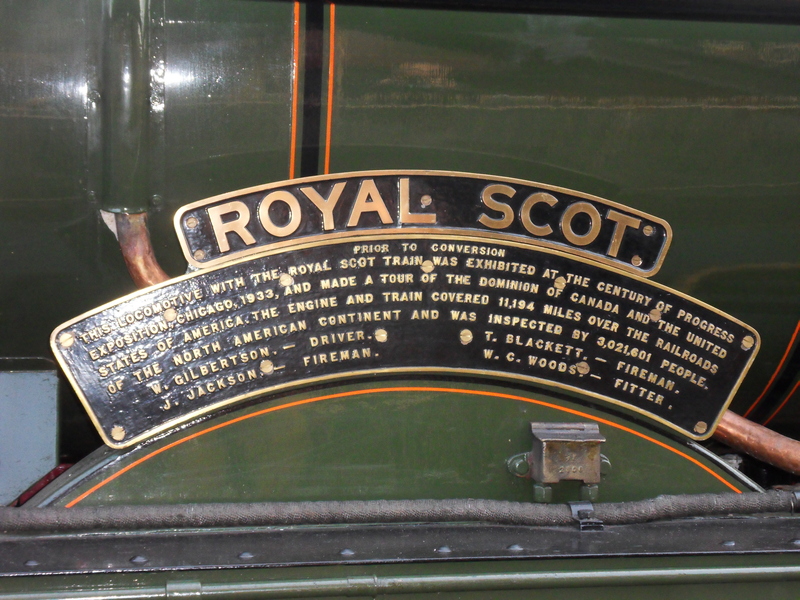 As for unambitious driving, I certainly heard some great noises coming from Royal Scot on a number of occasions; apparently when it was one of Hosking’s lot driving rather than SVR crew though! Oh, bumbling along, some TTIing, and some time in the workshop, and lots of tea consumption.